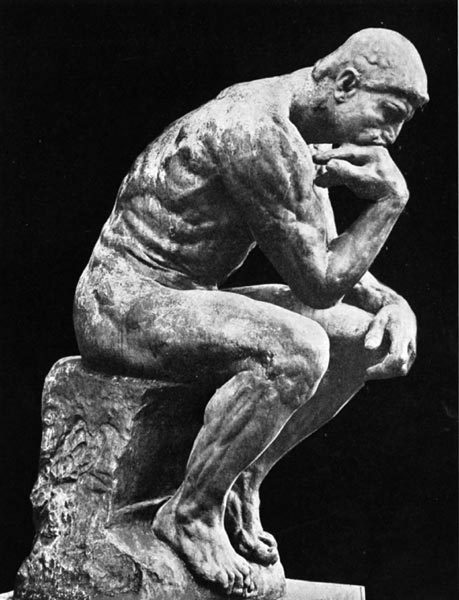 Auguste Rodin‘s “Thinker” is, I believe, the first sculpture I ever really recognized as art as opposed to a monument or a landmark of some sort. It became a sort of trademark gift that I would give to my father (who introduced me to the piece) each birthday in different forms. Thinker bookends one year, a little Thinker bead to hang off the rearview mirror the next. My junior year of college I went to Paris to study the French language and some art history, and spent a nice chunk of time at the Rodin museum, sitting in the garden, having my moments with the Thinker. The above three speak to me in my favorite language… Look closely at the left foot of the female in the kiss. See the set of toes underneath it? The detail? The curl? Devil’s in the details, no doubt. 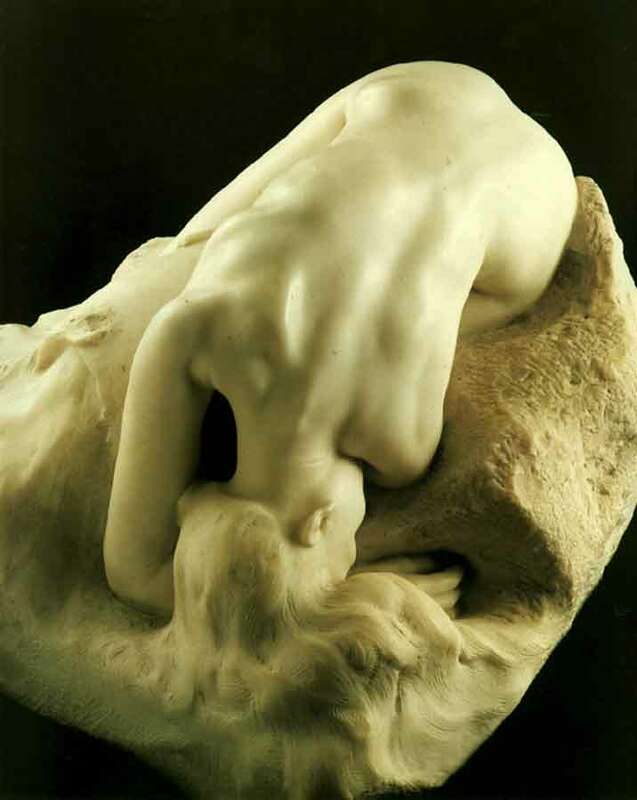 If you’re interested in learning more about Rodin, read “Naked, Came I“. The book is a fictionalized biography that I found incredibly entertaining. Like so many visionaries, he was rejected by the academy and only began to see success later on in his life. 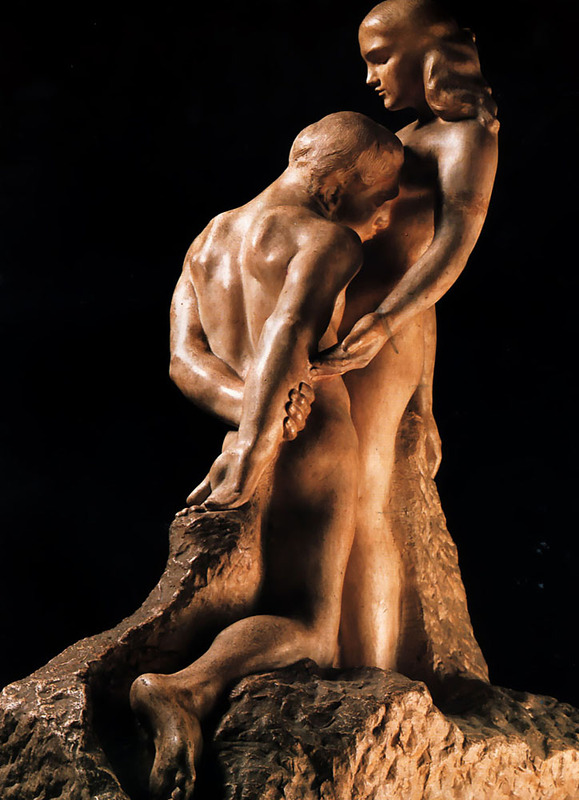 The book also discusses his relationship with Camille Claudel, his student, lover and muse. Good stuff! Please, can you say to me if you know the copyright of the photography of “The Kiss” ? It was something I found on the internet, so unfortunately, I don’t know who the photographer is. Sorry!